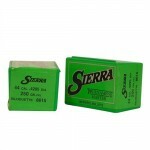 Sierra .22 Caliber .224 52gr HPBT Match /100 DIAMETER 0.22Bullet Weight: 52.00BULLET STYLE Jhp-boat..
Sierra .22 Caliber .224 53gr HP Match /100 DIAMETER 0.22Bullet Weight: 53.00BULLET STYLE Jacketed H..
Sierra .22 Caliber .224 53gr HP Match /100Sierra Bullet .22 .224 53gr HP MatchManufacturer: Sierra B..
Sierra .22 Caliber .224 69gr HPBT Match TMK /100 DIAMETER 0.22Bullet Weight: 69.00BULLET STYLE Tipp..
Sierra MatchKing bullets have very thin jackets and are held to exacting tolerances in diameter and ..
Sierra .22 Caliber .224 77gr HPBT Match TMK /100 DIAMETER 0.22Bullet Weight: 77.00BULLET STYLE Tipp..
Sierra .22 Caliber .224 77gr Matchking HPBT W/Cannelure Bullets /50 DIAMETER 0.224Bullet Weight: 77..
Sierra .25 Caliber .257 100gr HPBT Match /100 DIAMETER 0.26Bullet Weight: 100.00BULLET STYLE Jhp-bo..
Sierra .270 Caliber .277 115gr HPBT Match /100 DIAMETER 0.28Bullet Weight: 115.00BULLET STYLE Jhp-b..
Sierra .30 Caliber .308 125gr HP Match /100 DIAMETER 0.31Bullet Weight: 125.00BULLET STYLE Hollow P..
Sierra .30 Caliber .308 125gr HP Match TMK /100 DIAMETER 0.31Bullet Weight: 125.00BULLET STYLE Tipp..
Sierra .30 Caliber .308 150gr HPBT Match /100 DIAMETER 0.31Bullet Weight: 150.00BULLET STYLE Jhp-bo..
Sierra .30 Caliber .308 155gr HPBT Match /100 DIAMETER 0.31Bullet Weight: 155.00BULLET STYLE Jhp-bo..
Sierra .30 Caliber .308 155gr HPBT Match Palma /100 DIAMETER 0.31Bullet Weight: 155.00BULLET STYLE ..
We offer a great selection of projectiles for reloading. Bullets come in a large number of calibers or diameters, quantity per box, uses, manufacturers and price ranges. This can be confusing when purchasing bullets. The easiest way for you to hone in what you are looking for if you're unsure of what bullet to use in your weapon is to consult your reloading book or contact the weapon manufacture for suggestions. The optimum bullet for your rifle or pistol will depend on several factors including the length of your barrel, the diameter of your barrel and the twist of the rifling in your barrel. Just because it will go out the other end doesn't mean that it is going to stabilize in the air for you or be accurate. Finding a good load for your rifle or pistol is a relatively easy task but finding the perfect load for your weapon is a never ending chase. If you like the chase then please consider our simple advice. Consult the manufacture of the weapon or consult the internet. Be careful about what you read out there. Take it all with a grain of salt. Be safe and if you're ever unsure, don't fire the ammunition and destroy it before you accidently do. Also, the bullet manufacturers are all great folks to talk to about reloading. If you ever have a question or doubt, pick up the phone and call them they are all eager to help. Our last piece of advice for new reloaders is to get a reloading mentor. Someone whom you can talk about reloading with. You will learn from each other's mistakes and successes. Always a good choice for any shooting sport is Hornady. They are legendary, innovative and reasonably priced. They several lines of products available for hunting, long range shooting, varmint control, match competitions as well as plinking and cowboy action. As with Hornady and the other manufactures we carry, Nosler is an excellent choice. Both offer those seeking the highest ballistic coefficient or the most humane kill excellent choice for reloading projectiles. Nosler is equally as innovative and rich in history as well. To find the ultimate combination of components for your weapon and your objective will be a small personal journey. We recommend when developing your ammunition to try components from different manufacturers and measure it's performance to the best of your ability. Famous for the Sierra Match King among other brand names, Sierra is just as good of a choice as any of the other brands we carry. The offer similar projectiles for reloading as Nosler or Hornady. Again, everyone has an opinion on which bullet is the best for this or that but until you do your own discovery with your weapon, you will never know. 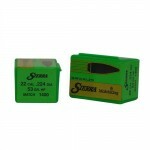 Speer bullets are world renowned just like the others. 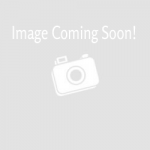 They produce quality top notch projectiles available in nearly every caliber shape and size. Just like the other projectile manufacturers, Barnes is an incredible company with very high quality bullets for every shooting sport. You can't go wrong with any of these guys.